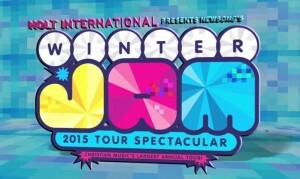 Winter Jam returns to the Bon Secours Wellness Arena this Friday, February 6, at 7 p.m. Described as Christian music’s largest annual tour, Winter Jam features 10 bands, including Skillet, Jeremy Camp, Newsong and Family Force 5. The 3-month tour travels throughout the Midwest and Eastern U.S., stopping at cities including St. Louis, Nashville, Houston, Atlanta and Chicago. It’s made downtown Greenville part of route for several years now. Tickets are $10 at the door. Doors open at 6 p.m.—be sure to get there early to get your seat!